Try searching first - If you don't get an answer here, create a ticket please. We just wanted to make sure that you don't miss out this awesome special offer. 15 days from NOW the amazing quota by site OFFER will end! Publish 20% To 50% Additional Posts Daily: Linkauthority is providing this special offer for this awesome service (this offer is very limited & only available to our current users). As you all love this network & because of massive demand we are introducing a new offer, for next 15 days from now, every individual who adds a site to link Authority network will get same quota as that of their site's PR (Page Rank). Example: If you add a PR 5 site to LA network, then you will get 5 daily quota instead of 4 quota, but remember this offer is effective only for 15 days. Best time to add sites to Link Authority network & grab your Daily Quota. OFFER available for NEXT 15 days only FROM NOW! 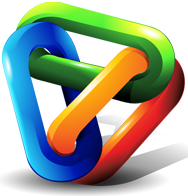 Here are the Guidelines For Getting Sites Approved In Link Authority. Head over to this useful post in our forum to find out the factors that we consider before adding a site to LA network: How To Find The Best Aged Domains. P.S. Make sure all the sites are at least PR1+ & are of high quality (you can also view some of the sites on which your content is published to get a general idea about the type sites that are approved in LA network). Kindly create a support ticket in LA support center after adding a site to LA network with your site details to get the Quota (With Offer).